McKerracher, L., M. Collard, M., & J. Henrich (forthcoming). 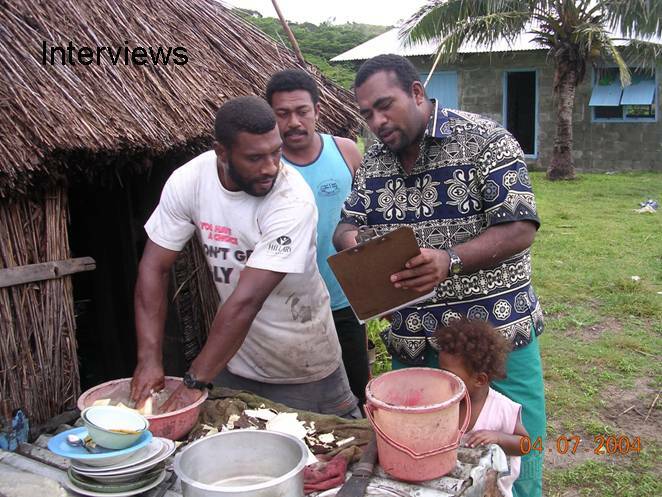 Food Aversions and Cravings during Pregnancy on Yasawa Island, Fiji. Human Nature. Broesch, T., Rochat, P., Olah, K., Broesch, J., Henrich, J. (forthcoming). 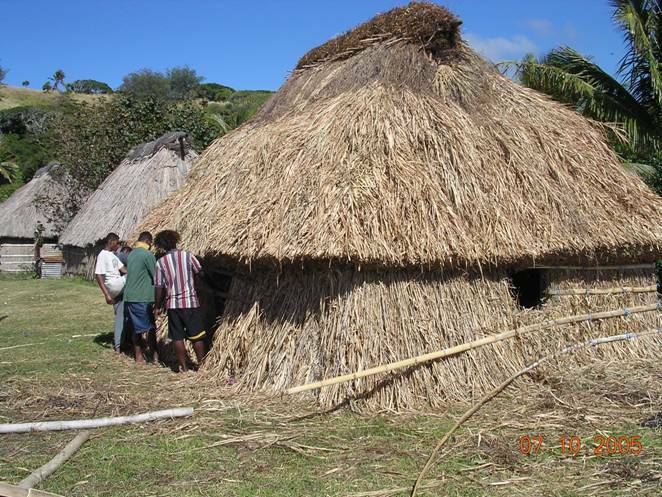 Similarities and differences in maternal responsiveness in three societies: Evidence from Fiji, Kenya and US. Child Development. Chudek, M., McNamara, R., Birch, S., Bloom, P., and J. Henrich. Developmental and Cross-Cultural Evidence for Intuitive Dualism. Moya, C., Boyd, R., & Henrich, J. (forthcoming). 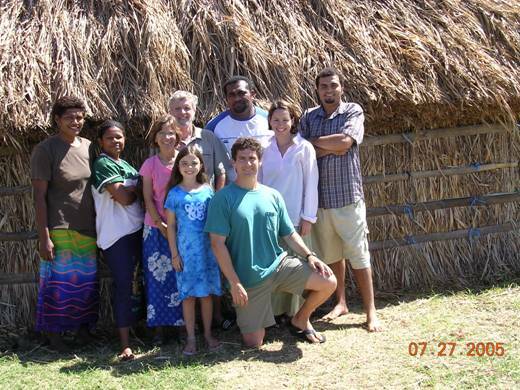 Reasoning about cultural and genetic transmission: Developmental and cross-cultural evidence from Peru, Fiji, and the US on how people make inferences about trait and identity transmission. Topics in Cognitive Science. McKerracher, L., Collard, M., & Henrich, J. (2015). 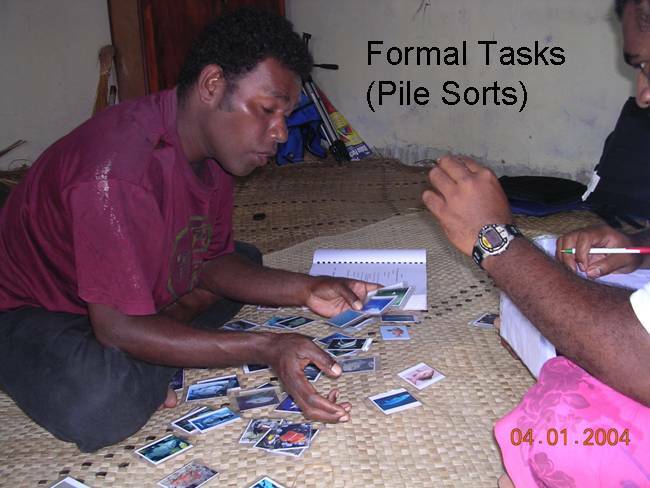 The expression and adaptive significance of pregnancy-related nausea, vomiting, and aversions on Yasawa Island, Fiji. Evolution and Human Behavior, 36(2): 95-102. 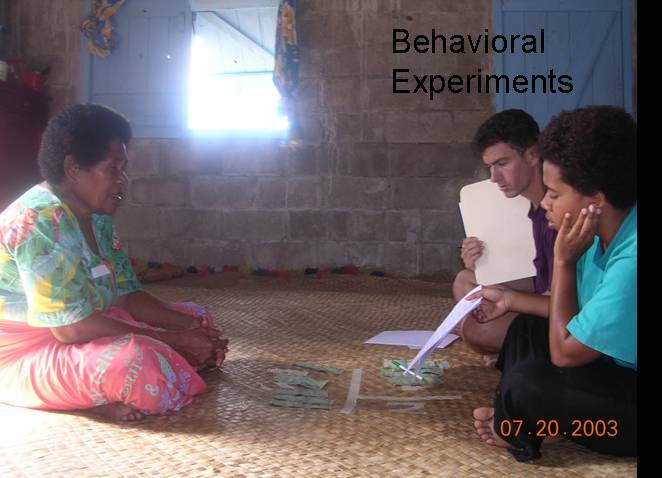 Henrich, J. and N. Henrich (2014) Fairness without Punishment: Behavioral Experiments in the Yasawa Islands, Fiji. In Fairness and Punishment in Cross-Cultural Perspective. Edited by J. Ensminger and J. Henrich. Hruschka, D., Efferson, C., Jiang, T., Falletta-Cowden, A., Sigurdsson, S., McNamara, R., Sands, M., Munira, S., Slingerland, E., and J. Henrich. (2014). Impartial Institutions, Pathogen Stress and the Expanding Social Network. Human Nature, doi: 10.1007/s12110-014-9217-0. Broesch, J., Barrett, H. C., & Henrich, J. (2014). Adaptive Content Biases in Learning about Animals across the Life Course. Human Nature, 1-19. Kline, M., Boyd, R., & Henrich, J. (2013). 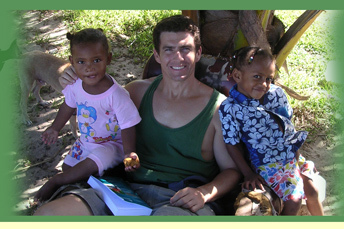 Teaching and the Life History of Cultural Transmission in Fijian Villages. Human Nature.